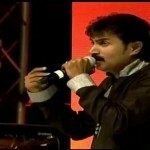 Prominent singer from Kerala, Kannur Shareef was in London to entertain UK Keralites with his mesmerising singing talent. His performance on Saturday, 24th January at Trinity Centre in East Ham was attended by many families who were all left enthralled witnessing a greatly enjoyable evening of music. The event, Ishal Night 2015, was first of its kind in UK exclusively organised to promote Mappilappattu, a folklore Muslim song category rendered to lyrics in colloquial Mappila dialect of Malayalam laced with Arabic, by the Mappilas of Malabar. 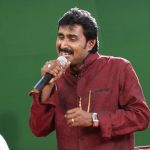 Mr.Shareef, a specialised singer in this category of songs, is currently chief judge of “Mylanchi”, a musical interactive show on Asianet Malayalam TV Channel. With many interactive shows on various Malayalam TV channels based on Mappilappattu proving highly successful, this genre of music is becoming very popular amongst Keralites across the globe. 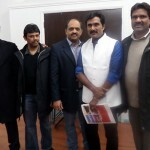 On Sunday Mr.Shareef was invited to UK Malayali Association Hall at Romford Road, East Ham where he performed for the members of the association singing old hit songs from Malayalam and Hindi films as per the wish list from the audience. Mr.Shareef thanked UK Keralites for hosting his shows for the first time here and expressed hope to visit again in the near future.